The five-member national selection committee of the Board of Control for Cricket in India (BCCI) has named the 15-man India squad for the ICC Cricket World 2019. 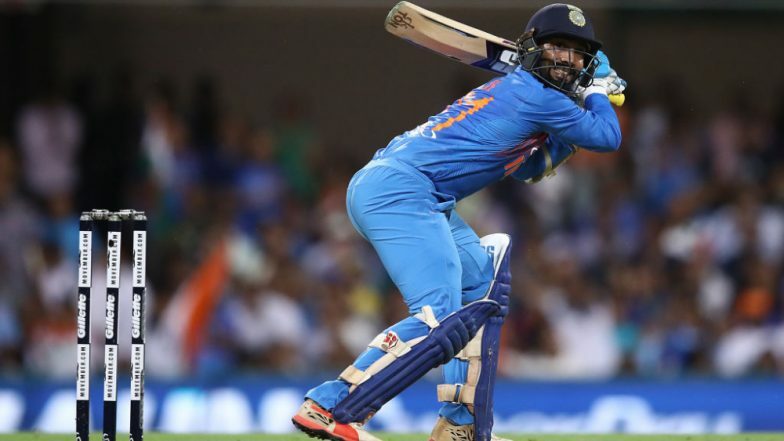 Wicketkeeper-batsman Dinesh Karthik has been included in the squad for the world cup, which will be led by Virat Kohli. Rohit Sharma has been retained as the vice-captain of the side. Karthik was left out of the Indian squad for Australia ODI series and it gave an indication that he is no more in the reckoning for the world cup. However, surprisingly he made it to the world cup squad. ICC Cricket World Cup 2019 Schedule in PDF: Ticket Prices, Dates, Venue Details & Timetable Available for Download Online. Meanwhile, in the ongoing Indian Premier League 2019 (IPL 2019), Karthik, who leads the Kolkata Knight Riders (KKR), has failed to do well. In seven innings, the KKR captain has managed just 11 runs, which includes 50 against Delhi Capitals.